Marcellus “Bear Heart” Williams [1918-2008], born in Okemah, Oklahoma, was a full-blood spiritual leader of the Muskogee-Creek Nation trained in the traditional ways of his tribe. 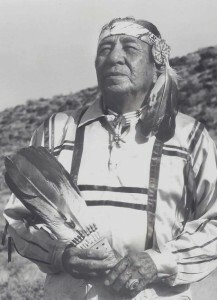 Highly regarded as a healer and counselor, he was also a respected leader of the Native American Church, Sun Danced with both the Northern and Southern Cheyenne people, and was an ordained minister in the American Baptist Church. Bear Heart was asked to be one of the spiritual counselors for the fireman and their families after the Oklahoma City tragedy and put down prayers with the Fire Department at Ground Zero, New York in November, 2001. Bear Heart helped thousands of people over the course of his life and his book, “The Wind Is My Mother,” continues his life work of sharing wisdom and inspiration. 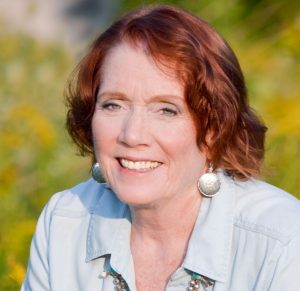 Most books by Native Americans are co-written by anthropologists who have only an intellectual understanding of the material, but Molly Larkin spent a 15-year apprenticeship with Bear Heart, learning the medicine ways of his tribe. She has walked the Native American spiritual path for over 35 years as a Sun Dancer, pipe carrier, vision quester and ceremonial leader. 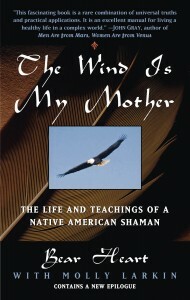 She brings a unique depth of understanding of Native American spirituality because she has lived it. After over 20 years working as a litigation paralegal in a top Los Angeles law firm, Molly left in 2005 to follow her dreams. She has a healing practice and is a licensed trainer for NFSH-The Healing Trust, England’s largest and oldest energy healing organization. 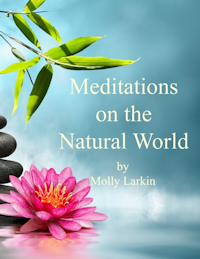 She also writes the blog Ancient Wisdom for a Life in Balance at her website, www.MollyLarkin.com/blog. She now lives in New Mexico.